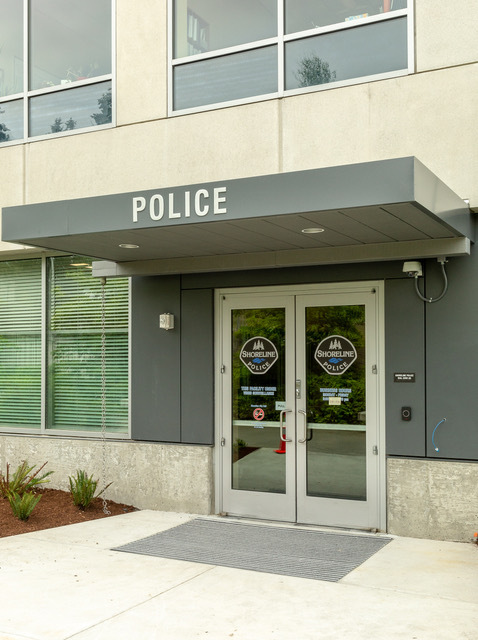 Shoreline Police have moved into their new station at City Hall. They will show it off this Saturday at an early morning open house 9:30 to 11:30am, with a brief program at 9:45am. It is part of City Hall 17500 Midvale Ave N. The entrance is in the inner courtyard, next to the toadstool lantern artwork and across from the City parking garage. The offices are on the first floor of the original City Hall building. 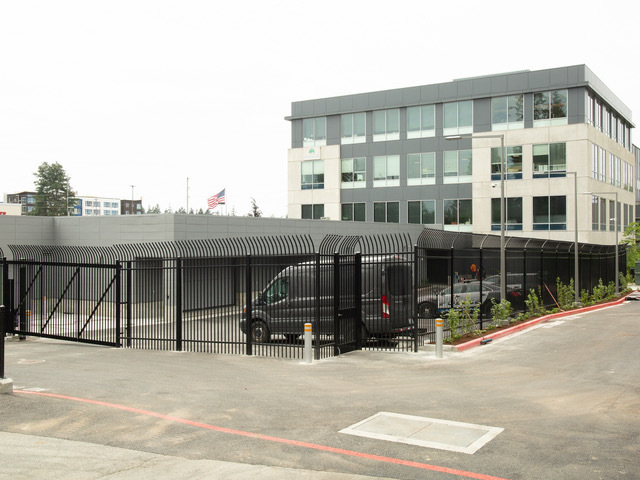 The extension is a garage and a sally port which allows officers to drive prisoners into a secure area before moving them into the holding cells. The City has said they expect to sell the old building on N 185th.